KATHMANDU, April 7: Minister for Health, Gagan Thapa has announced free treatment and care for mental health patients. Speaking at a program organized by The National Health Education, Information and Communication Center in Kathmandu, Minister Thapa said this will be done through a mental health policy which has already been drafted and will be soon tabled at the Cabinet meeting for approval. “The policy has been formulated to ensure the rights of mental health patients as enshrined in the constitution of the country,” said Minister Thapa, adding that the policy will soon be implemented in coordination with the partner organizations. Thapa said that the ministry has already directed the Department of Public Health Services to design programs accordingly. According to the Ministry of Health (MoH), the ministry has already drafted the mental health policy. “Any psychiatric patient will not be forced to get chained, face inhuman behavior or ill-treatment, locked up or abandoned in the streets once the policy is approved,” said an official at the health ministry. It is estimated that some two million children and youngsters are affected by mental health problems. Suicide is a major cause of the death of women aged between 15 and 49, according to various surveys. The program will be implemented at all levels of local units and provinces with allocation of adequate resources from the federal and state governments, according to health ministry officials. It will be implemented as per the concept of public-private-partnership program, according to MoH. Rehabilitation centers will be operated for drug users in coordination with the NGOs. “A separate psychiatric unit will be established at every government hospital and health bodies,” said Thapa. 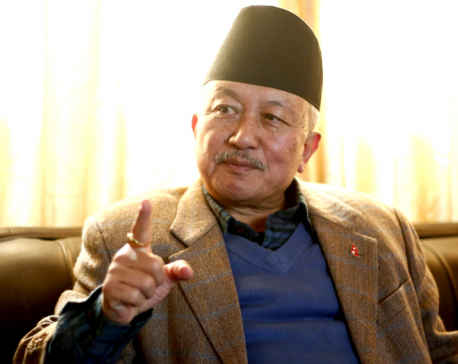 “Discrimination on the basis of mental condition in all sorts of offices and sectors will be discouraged to ensure the rights as per international standards and treaties, even by amending the national laws,” said Thapa.